One of the most important parts of your life is a clean home or business. So we’ve made it a priority to make sure it’s something’s that a part of your life. And we’ve also made it a priority to be certain that you’re satisfied with our services. We’ve designed our cleaning services to be perfectly customizable to your specific, individual needs. If anything of the services offer needs to be altered, added, or removed, we’ll be happy to make the changes. We make sure that all of our services are up to local codes and standards of Coral Gables, and that they’re all environmentally friendly. If anyone in a home or building that we’re cleaning has any sensitivities to any chemicals, let us know and we’ll be sure they’re not used. And if for any other reason you need any modifications or additions at all to our services, just let us know and we’ll make sure you receive them. Give us a call today to schedule a cleaning and we’ll be looking forward to giving you a cleaner and happier living or working space. It’s not uncommon for homeowners to get too busy to have time to clean–or too stressed to offer up their time to that. And sometimes mobility issues or illnesses can prevent you from getting the cleaning done you’d like to. When it comes down to it, no one has the time or energy to do all the cleaning they’d like to, and our Coral Gables housekeeping professionals would like to take that responsibility off of your hands. We can offer you monthly cleanings if you just help getting caught up one in a while, or weekly if you need more help keeping things in order. And if you just need some help catching up, our Coral Gables housekeeping professionals can give you a one-time cleaning to get things in order for you. We’ll be thorough and professional, guaranteeing you a clean and organized that you’ll love to spend time in. If you’re in the process of attempting to rent or sell a property, having one of our Coral Gables housekeeping professionals clean the property expedite the process. We’ll make the property look and feel better than ever. After our services, you’ll sell or rent the property in no time. And if you rent out a vacation property, we can help you make more money off of it. By speeding the cleaning in-between renters, we’ll help you maximize the time that someone is renting the property by minimizing the time you’re cleaning it. And we can guarantee your renters will see the difference. We can also help you with any commercial buildings you need cleaned. We have the best tools and techniques, and the best crew of Coral Gables housekeeping professionals. Whether you have a slightly messy office building or have just finished construction, we can tackle any job you have. 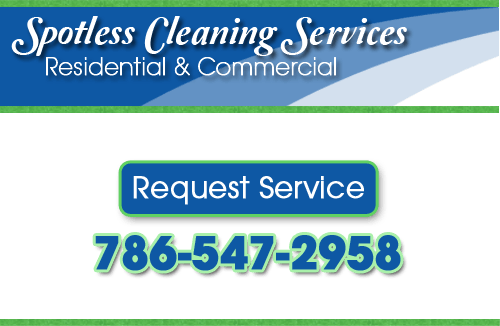 If you’re looking for Coral Gables housekeeping or commercial cleaning professionals, call us at 786-547-2958 or fill out our online request form.